The European Central Bank is taking a deep breath as its President Mario Draghi now turns his attention to desperately trying to nurse the Eurozone back to some stable economic health. The crisis management measures of the last three years have subsided for now as the ECB enters its first session this year on January 10th, 2013. Draghi is hoping to extend the calm that has set in markets with his 2012 pledge to do anything in its power to end the crisis and that includes trying to keep interest rates unchanged for now. His threat of unlimited bond purchases has bought some time in this crisis for a pause as he hopes and prays that the Eurozone’s looming recession will subside. But as politics go, the fate of Europe insofar as bond holders are concerned rests on not the claims of Dragji, but the political fortunes of Chancellor Angela Merkel who is highlighting Germany’s economic strength in the midst of the Eurozone chaos as she kicked off her campaigning Saturday for an important state vote that comes months before national elections. Merkel brushed aside worries about the weakness of her party’s coalition partner. Human nature wallows in two traits (1) it resists change, and (2) it wants to believe tomorrow will be the same. Consequently, government bullshits the people all the time because that is what they want to hear as a rule – just tell me you will love me for the rest of your life, nothing will ever change, and we will live happily ever after! Hollywood has used that same formula to sell movies for decades. Most people do not like movies that are real. They want that happy ending. Some argue that Hollywood is responsible for the high divorce rate because they created false images of marriage and life. Because of this inherent need for happily ever after, Draghi’s threat has been working so far as it typically does. Foreign investors have gradually returned back and Spain has been coping with the higher interest rates for now as they are at a 10-month low in Spanish borrowing costs. 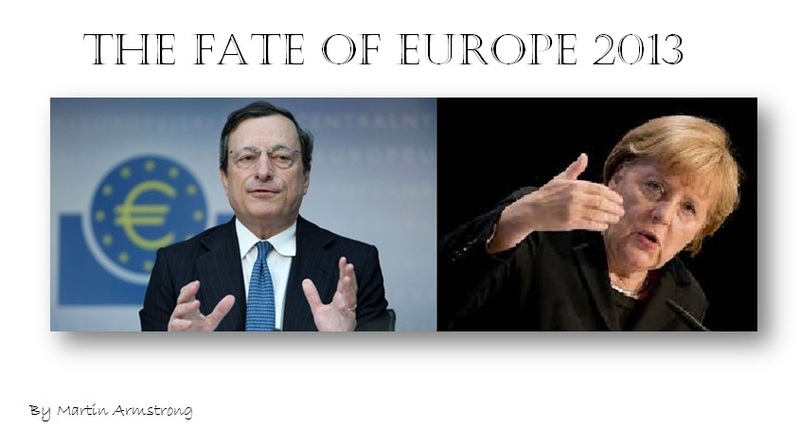 Nevertheless, Draghi and his European policy makers know there is no teeth behind their words and are uneasy that the turmoil which has emaciated the region’s bond markets could return because this is a political year and that means German politicians will effectively not do anything that could risk their re-election chances. The ECB faces tremendous potential pitfalls arising from mounting debt in Spain, the parliamentary election in Italy, and the unsettling rise in the underground economy in Greece. European finance ministers are also assembling a rescue package for Cyprus, which will be the European Sovereign Debt Crisis’s 5th bailout. Finance ministers are trying not to rattle markets as they now struggle with the possibility of writing off debt for Cyprus. The Eurozone ministers have pledged not to repeat a Greek debt write-off. However, the International Monetary Fund is pushing for more sustainable financing. Cyprus has been negotiating with the European authorities and the IMF over another rescue financing scheme for Europe since June. Cypriot banks have lost more than 4 billion euros ($5.2 billion) in Greece’s debt restructuring. As previously reported, France holds more Greek debt that everyone else combined. Luxembourg Premier Jean-Claude Juncker, head of the group of euro finance ministers, suggested that the Euro leaders would stand by their pledge despite the fact that the ECB has warned said that post-bailout debt levels for Cyprus might not be sustainable. Without a debt restructuring, northern European taxpayers will still pay for Cyprus and the failure of the Euro both directly with higher costs and indirectly with lower economic growth. There is no possibility of standing form and forcing Southern Europe to pay. What European politicians cannot get through their head is that when the Euro was formed, it rose from 80 to 160 to the dollar. That meant that Southern Europe saw in real dollar terms their national debts DOUBLE aside from the criticism that they do not balance their budgets. That initiated the crisis in 2010, and the fall in the Euro ever since has helped to ease the immediate pain devaluing the debts in dollar terms creating a bit of a pause for now. 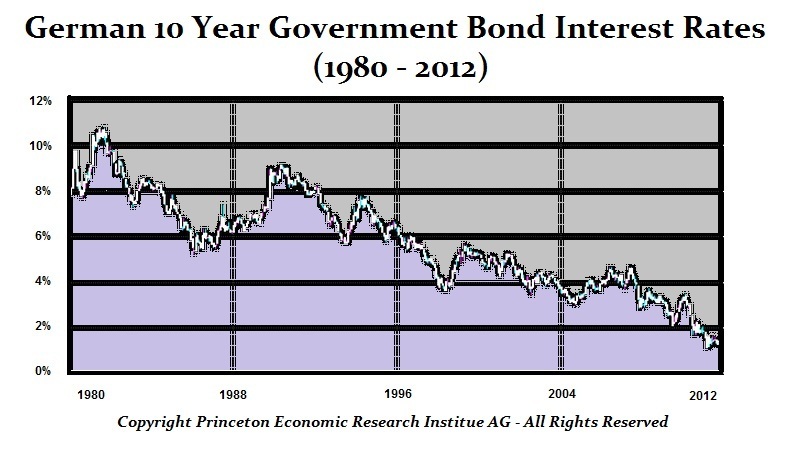 German 10-Year rates are poised for one final low ahead in 2013. Spanish 10-year bond rates fell to almost 5 percent last week after closing 2012 at 5.27 percent, down from a July 24 high of 7.62 percent. The euro rose against the U.S. dollar closing 2012 at 1.3187 compared to 1.2941 for the closing of 2011. However, during July 2012, the Euro fell beneath the 2011 low reaching 1.2045 supporting above the 2010 low of 1.1880 established during June that year. The overall weakness of the Euro tends to suggest that further lows are likely in 2013. Eurozone nations are planning the biggest week of bond issuance in four months praying the investors will be back in full force. Germany, the Netherlands, Italy, Spain, Austria and Belgium all plan to sell debt, the most since the week beginning September 3rd, 2012. Any further rate cuts by the ECB when the 23 Governing Council members convene in Frankfurt are unlikely. The central bank will keep the key rate unchanged at a record low of 0.75 percent until at least the first quarter of 2014. It is the marketplace that will raise interest rates, not the ECB. The majority of ECB policy makers were leaning toward cutting the benchmark rate at the bank’s meeting in December 2012 after revising down their economic and inflation projections for 2013 to a 0.3 percent contraction. In real terms, the economic growth for Europe in 2013 as a whole is likely to be 0% if not NEGATIVE. Without doubt, Europe will come in as the lowest region for economic growth in the world. That is a sad statement on the prospects of any recovery in Europe without serious complete economic reform. The entire problem remains there is a lack of memory. When the commission attended my London seminar taking the whole back row, the general reasoning at that time was that they did not feel they could see a debt consolidation and were going to leave that for later. They first wanted to get the currency union. The problem is as time goes by, there is a new crop of people who think this is the way it should be and any discussion of a single debt is drastic. This is the problem with half-measures. The 17 member states will NEVER get out of this economic slump until there is a complete restructuring. Bailout after bailout is still accepting responsibility for a single debt. You cannot escape this problem. 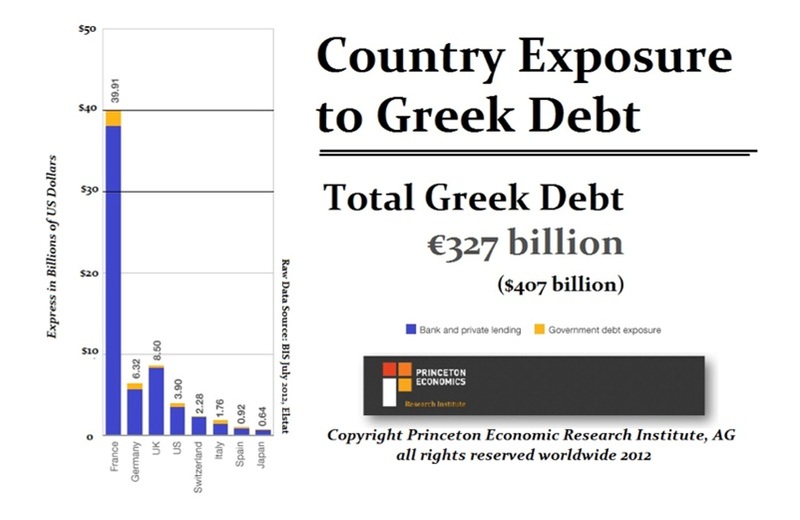 The national debts should have been consolidated into ONE federal debt for Europe. That should have been the ONLY debt acceptable for reserves. This current system puts at risk the entire banking system of Europe as well. Politicians and economists are NOT traders. They have NO concept how markets function because they bathe in their own ignorance shrouded in their presumption of power that they dictate the trends – not the free markets. That idea of “New Economics” propagated by Keynes is dead. (see: Volcker Rediscovery of the Business Cycle 1979). European services and factory output have continued to contract as effective taxes continue to rise. The recession will obviously extend into 2013. There is a serious risk that the economic decline for Europe could extend into 2021. The earliest final low appears to be 2017 without major reform. The only real stabilization in the global economy is that of Asia. While Germany, Europe’s largest economy, has been dependent upon exports for its growth, that trend is starting to turn down as well. Cities like Berlin are dependent on conventions and tourism whereby the bulk of manufacture as in the auto industry is in the south. The USA manufacturing output picked up in December after dropping to a three-year low. However, all the economic growth is still in Asia with China’s services industry growing at the fastest pace in four months. This is fantastic news for it shows that China is succeeded in building an internal consumer based economy. This will be the key for China to displace the USA as the leading world economy perhaps as soon as 2016. Data last week showed German unemployment still rising, albeit less than most economists had forecast in December. Business confidence increased for a second month after demand from outside Europe boosted factory orders and exports have led to some optimism that Germany can look to replace falling EU demand with that of Asia. That will be a hard task to accomplish.